To understand how Goods and Services tax (GST) will help companies optimize their supply-chain, one needs to understand a little bit taxation and the existing warehouse strategy. Let us take the example of a company whose manufacturing facility is present in Delhi, and it moves its goods down to South India. As the company sells in South India, it has to transfer its manufactured goods across the States. According to the current taxation, if you’re moving the goods from one State to another and selling it in the other State, then you’re liable to pay the Central Sales Tax (CST). The important point to note here is that you’re liable to pay the tax only if you’re transferring the goods for a sale. However, if you’re transferring not for a sale but for a stock transfer, you don’t need to pay the CST. So, to avoid paying the CST, companies show the goods movement as a stock movement than a sale. But, to do this, they have to have a warehouse within the State where the goods are going to be transferred and stored. As a result, currently companies have warehouses within each State and show their goods movement as stock transfer than a sale. This essentially means that the current locations of warehouses are chosen to avoid the taxation, rather than to best service the customer. 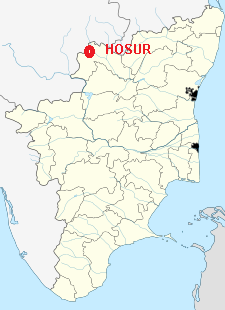 For example, let us take the case of a city Hosur, which is a part of Tamil Nadu but it just 30km from Bangalore. So, geographically speaking, to service the customers in Hosur, the goods have to be shipped from the Bangalore warehouse. But unfortunately Hosur is a part of Tamil Nadu, which means the company has to pay the Central Sales tax (CST). So, instead of shipping the goods from the Bangalore warehouse, they are forced to have a warehouse in Chennai and ship from Chennai, which is 250km from Hosur. With GST coming in, companies will be freed from this problem and they can setup their warehouses to optimize their costs and best service the customers. This is going to save considerable costs for companies and improve the servicing levels. Also refer to Tax_Structure_and_Supply_Chain_Network_Optimization_in_India.26491837 for an understanding of taxation from a supply chain perspective. Yeah, I agree with your article. Implementation of GST in India will definitely benefit companies in terms of reduced supply chain costs and better supply chain optimization. Currently, Global4PL is helping me out in reducing my supply chain costs and strategizing supply chain processes. Just imagine, if GST is implemented, how much money will I save on supply chain? Rich Couch and Poor Couch – The Ferrari and Maruti of Couches are not so distinguishable! The importance of LTV to CAC Ratio and why should it atleast be 3X?